What’s great about coffee is that you can enjoy it cold or hot, depending on the weather and depending on what you’re craving. With the summer heat, I prefer it cold with a lot of ice. And what you mix in with it is the fun part. It can be liquor, ice cream or cream. Speaking of cream, I use a different kind. It has an exotic feel to it because I use muscovado sugar and coconut milk that are boiled slowly together until thickened into a lightly thick cream. 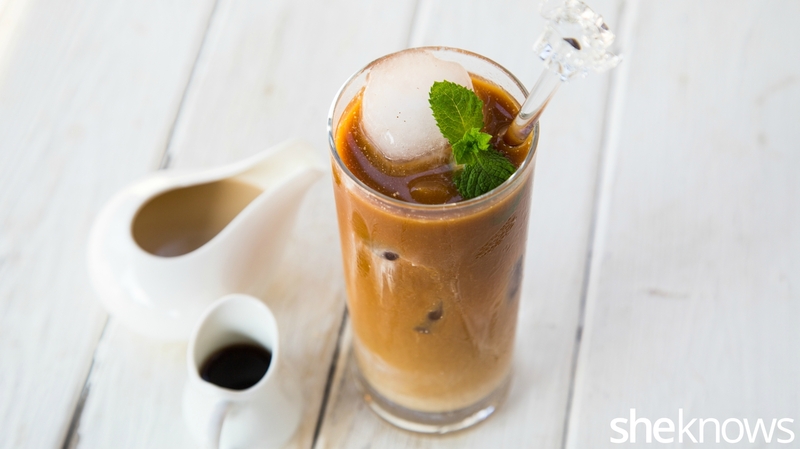 Use as much as you want, and pour it into your iced coffee. I think this homemade coconut creamer will make you even more addicted to your caffeine drink. Ready to try it? Muscovado sugar is a partially refined, dark cane sugar with a strong molasses flavor. If you can’t find it, substitute with dark brown sugar. 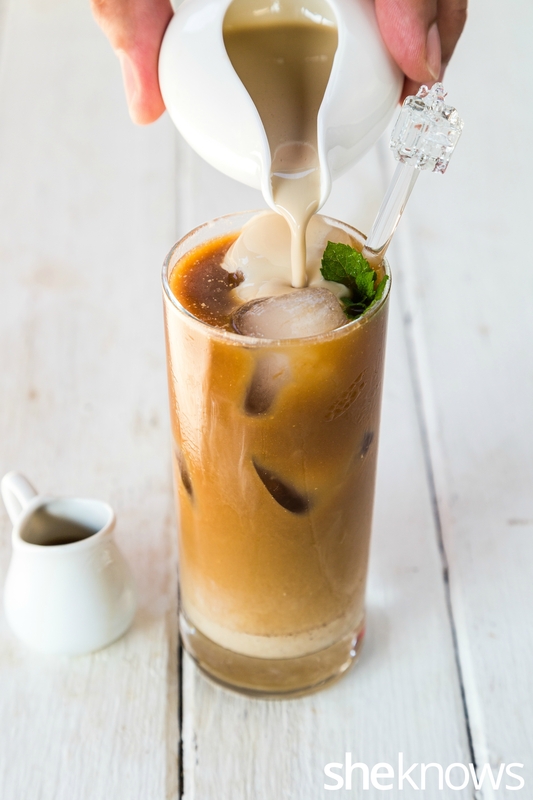 Over iced coffee, pour a different kind of cream. This cream of muscovado coconut milk is so easy to prepare, and it can make your coffee more addictive. In a small saucepan over low heat, boil the coconut milk and the muscovado sugar together for about 15 minutes or until the mixture becomes creamy. Let it cool. Prepare the coffee, then let it cool. Pour it into the 2 glasses. Fill up the glasses with ice. Divide the cooled cream into the 2 glasses, stir, and then serve immediately.